Most of the topics discussed were location/geography-based including view corridors down Broadway, overlapping plans for development, and ideas for land use changes on other Port properties. I recorded a video using our internal PortGIS Program, available to all Port employees on Port computers, with the objective of giving a geographic perspective to complement the dialog. The primary goal of this blog is to educate Port employees on the use of our internal PortGIS Program so they can make informed decisions. By utilizing tools, such as GIS, Port employees strive to be as effective, efficient and accurate as possible. This conversation gives us the opportunity to showcase these tools as they relate to NEVP and similar concepts should be used by Port decision makers across the Tidelands. Click on the image below to watch the video. The video has audio. If the video isn’t playing click the link below to watch it at blip.tv. A while back we were contacted by Dr. Muki Haklay about including an image from this blog in his upcoming book, Interacting with Geospatial Technologies. Of course we jumped at the chance to be included in a project of this caliber and importance. 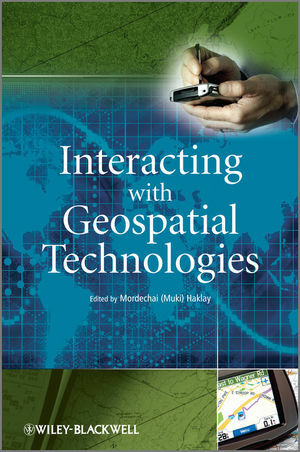 The book focuses upon the intersection between the disciplines of Human Computer Interaction (HCI) and GIS. I have only read the first chapter, Human-computer interaction and geospatial technologies-context (detailed review to follow) and I find it particularly fitting as my career evolves from a GIS Desktop user into the realm of web development. I suspect many of our careers, like everything else, is moving toward the web. Many of us are no longer GIS Desktop end users focused upon the creation of static PDFs or paper mediums. We are now web developers, and have to take into account all the factors which can make sharing GIS in this new and dynamic medium successful. 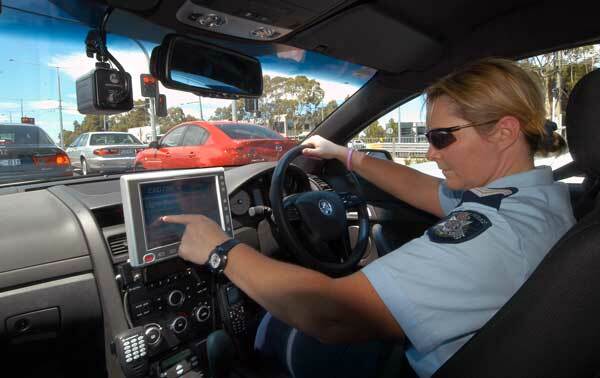 Some of these factors include our users’ technological aptitude, hardware platform, ergonomics and the most intuitive and advantageous way to present our specific type of data. Of course we still need to account for our traditional responsibilities regarding projections, coordinate systems, subtypes, metadata, data formats and most importantly, license management. First let me introduce myself, I am Brian Mehl, a GIS volunteer intern at the GIS department working since February this year. This internship fulfills my work experience course GISG 270 for San Diego Mesa College’s GIS Specialist Certificate program, and I expect to complete this certificate next month. I am excited to be working at the Port with such knowledgeable persons as Malcolm Meikle and Ari Isaak. The primary task I’ve been working on is taking existing Port CAD drawings of their buildings, such as the eight floor Administration Building on Pacific Highway, and converting these engineering drawings into a ArcGIS personal geodatabase utilizing the ArcGIS Building Interior Space Data Model (BISDM). ArcGIS data models provide a geodatabase template for importing the data model as a template on which to base a geodatabase, and the BISDM allows a fast start by setting up the feature classes and datasets in a schema or plan, with the real data coming from the Port’s existing CAD drawings. So why create a geodatabase using the BISDM? A GIS-based data model will allow the Port to manage and report on the interior spaces of its buildings. This will provide a basic structure to support a number of different perspectives on buildings – such as architecture, construction, landscape-level planning, facilities management, environmental management, and security/emergency preparedness. The BISDM database I am working on will benefit the following Port of San Diego departments (at a minimum): Audit, Risk Management and Safety; Engineering – Construction; Environmental Services; Harbor Police; Information Technology; Land Use Planning; and Real Estate. Hopefully this introduction will provide you a quick glimpse into my work here at the Port, but I will get into the geodatabase building process on my next posting. But to give you an idea of the task at hand, I am working from 19 CAD drawings and have spent 60+ hours so far. For more information about ESRI’s ArcGIS datamodels, here is a free online course you can take, and a link where you can download the BISDM model among others. The benefits of trees cannot be overstated. They provide numerous financial, health and quality of life benefits for our community. The well-being of our urban forest at the Port of San Diego is one of the key resources we manage. The PortGIS Program attempts to identify resources which are advantageous to represent spatially. By placing utilities, proposed projects, the Port Master Plan, the 2010 Tidelands Mapbook, aerial photos and our tree locations within one spatial context we empower our Port employees to make informed decisions by driving an enterprise-wide common operating picture. Plans for future development will account for our urban forest resources from the outset if they are included in the primary set of guiding factors. It is much more costly and less likely to occur if urban forestry management is left to expensive last-minute change orders. Much of the Port Tidelands can be seen through Google Streetview. Some find this disconcerting and an invasion of privacy, but Google Streetview is an invaluable and (IMHO) underutilized tool for creating and managing GIS Data. It can save substantial time and monies by moving expensive field work to the desktop. Managers can easily implement quality control measures by reviewing decisions made in the field by lesser experienced personnel in real-time. Real functionality comes from combining Google Streetview images and GIS data housed in a Relational Database Management System. This PortGIS Tree Inventory tool is a departure from our other web applications in that it empowers end users to change GIS data. Our other tools are read only. From a technical GIS/database/developer perspective, this project started out as a proof of concept. Our goal was to enable our non GIS professionals to easily create, edit and manage a discrete set of GIS data through the web. In order to do this the data needed to versioned and housed within an SDE database. We also wanted to enable security, and grant permissions through Active Directory, so only certain Port employees are able to make changes. Our goals are to continue to build on this functionality and to expand the capabilities of the PortGIS Program. We would like to take this data into the field to collect more information, i.e., standard breast height of our trees and/or take pictures of the trees using a connected handheld device. Taking the PortGIS program mobile will enable us to offer real-time GIS data management to our non-GIS professionals where and when it is most convenient. This way they can use GIS as a tool which complements their primary focus of writing leases, creating architectural renderings, fixing electrical conduits, or making our urban forest as healthy, financially viable and beautiful as possible. I had a little impromptu meeting with LJJ, of Harbor Police, and TW of Dispatch yesterday. LJJ mentioned that any GIS developed by the Port is going to be measured against Google Earth (GE). I think we can all agree that typing in an address and looking for directions is much more pleasant in GE than in most professional GIS systems out there. Searching for directions from one address to another in the ArcGIS desktop suite is cumbersome. ESRI knows this and has created ArcGIS Explorer (AGX). AGX looks and functions much like GE, but it allows us to point to our own internal server and use both ESRI proprietary data formats and non-proprietary formats. In many ways AGX exceeds the capabilities of GE. I created a basic video showing the display options and how to use Tasks in our Port GIS. One last point, based on the number of acronyms I used in the last paragraph I am going to start keeping a list of their relevance in DM (Docs #315612). Please leave comments if you have problems accessing this list. Application of GIS Technologies in Port Facilities and Operations Management discusses the recent advances in GIS (Geographic Information Systems) technologies for port professionals. This committee report identifies effective GIS techniques for the management of complex port and harbor infrastructure and discusses in-depth the capabilities, requirements, and limitations of available GIS applications. 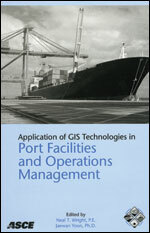 It also provides useful GIS database techniques and software integration tips, an overview and discussion of GIS data types and map projections, and several case studies focusing on facility and operations management. I think most of us would much rather learn from others’ experiences than try to reinvent the wheel. I ran across this book a while ago. We shortly thereafter purchased a copy of it through the IT department. It is a very short book (82 pages) which has made the rounds through Malcolm M, Richard M, Adolfo S, and Bill H, and the engineering department has recently purchased their own copy. It is a valuable book, and I suggest everyone interested take the opportunity to flip through it. It probably has at least a few pages which deal directly with your department, and it presents GIS from a Port industry perspective. For example: Engineering may be particularly interested in different types of standards used in integrate AutoCAD and GIS, while directors of various departments might be interested in the Return On Investment (ROI) section, and Environmental might be interested in the water quality compliance case study at the Port of Virginia. Currently, I have a copy of the book if you would like to borrow it. I think Steve A has the other. Click here for some GIS Zen. Try out the Enable Drill Down feature.